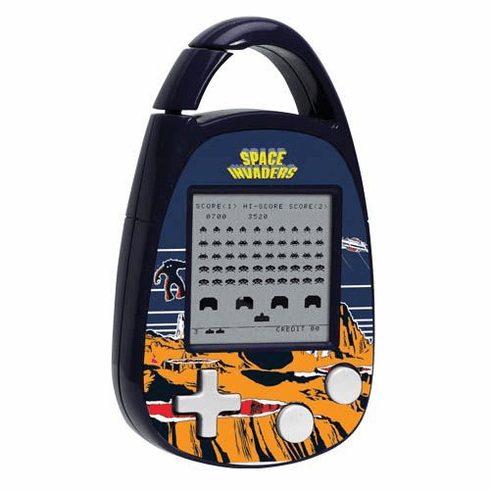 Beware of the invasion Ð with the Space Invaders electronic carabiner! Use the laser cannon by moving it horizontally across the bottom of the screen, while firing at the descending aliens to earn points. The more aliens defeated the faster they attack. You must defeat the aliens through all 10 levels to stop the invasion before the aliens destroy your cannon and take control. Good luck and good shooting!